Ulla Pirttijärvi’s second album with the Ulda trio is a well-balanced whole. She stays surprisingly close to the luohti or yoik tradition, combining lyrics and wordless sequences in a very traditional way. Ulla Pirttijärvi expresses a wide range of feelings with her voice alone, besides exploring a wealth of colours and techniques. At this point in her career, she is a mature artist and a joy to listen to, one of today’s leading Sámi artists. Ulla Pirttijärvi’s second album with the Ulda trio is a well-balanced whole. She stays surprisingly close to the luohti or North Sámi yoik tradition, combining lyrics and wordless sequences in a very traditional way. As in a traditional yoik, she interprets her subject very economically, painting a picture with just a few words. Her themes extend from reindeers and fell landscapes to more modern and urban subjects, mentioning things such as high-rise buildings and visa applications. The music itself also embodies contrasts between urban landscapes and the unbroken horizon of the Sámi homeland. As an example, Ovdasaš (Premonition) is a calm image of nature with a lot of content though not much happens in it. By contrast, the title track Roijk (RokYoik), Pirttijärvi evokes the atmosphere of a rock club. Yet the roots of the yoik are always firmly present however modern the subject is. I particularly enjoy the tunes that have a strong atmosphere in themselves – you don’t need to understand the lyrics to feel the joy in Giđđariemut (Joy of Spring) or the sharp intensity in Ruošša eanan (Russian Land). In Girddán (Flying), the voice is extremely soft and soothing, a nice colour contrast in the mix. 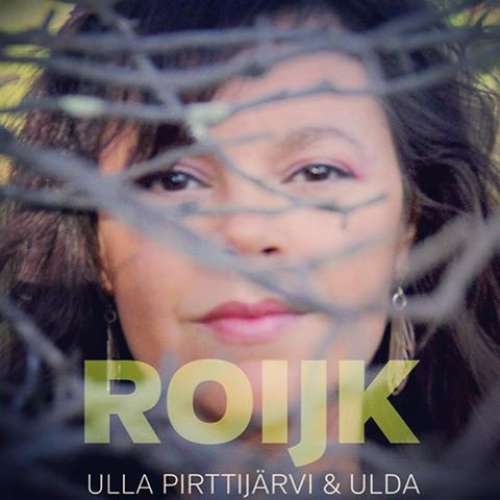 Ulda consists of three musicians with their ears extremely well tuned to Pirttijärvi’s vocals. Instead of simply filling up the music with basic chords, they comment on the vocal melodies with counter-melodies on their instruments. Sometimes the instrumental parts become a bit uneven, feeling more square than ecstatic. Marko Jouste provides the core of the band on his lute and mandolin, with Mikko Vanhasalo‘s wind instruments as an active side-kick. I especially enjoy the overtone-flute, and the bass clarinet has already become a self-evident pairing with yoik, having been well established in the collaboration between Wimme Saari and Tapani Rinne. Ari Isotalo plays percussion and drums, playing with the contrasts between rock’n’roll and a dreamier world-music atmosphere.